Cheaper Car Hire at Ohrid Airport, Macedonia - Compare rental prices for MPV, SUV & minivans in Ohrid. 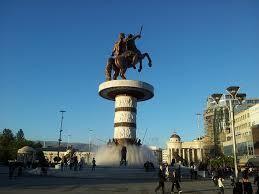 Cheaper car hire is available at Ohrid Airport or downtown. We have quality, companies who have all discounted their usual prices. Pre-book SUV, MPV or 7, 9 seater minivan with GPS. Mileage, breakdown and CDW included. Our partners have a full range of vehicles to choose from including 9 seaters. You can take your pick from Alamo, Europcar, Hertz or Sixt. Even though CDW is included in the rate, but you still have option of reducing to zero,or taking out excess cover in case of a claim. 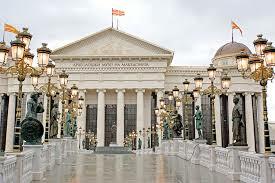 You will find this quaint city in the south west corner of Macedonia. 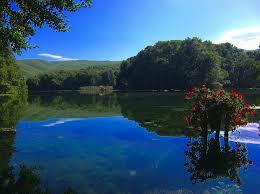 It nestles on the shores of Lake Ohrid. The name Ohrid means something like:- from light. Just over forty thousand people live there. The city and the lake are over two thousand feet above sea level, making the summers nice and comfortable indeed. However, the winters can get close to freezing cold. Good discounted prices on motors in Ohrid found here. Cheaper CRV, SUV, MPV & minivans available here, but book early. Save on next holiday vehicle when you book through us. Like to see a chapel each day? 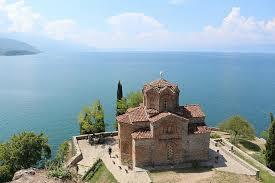 Well go to Ohrid and each day you can see a different one, as there are 365 chapels within the city. Ohrid Airport also goes by the name of Apostle Paul Airport(IATA code OHD). This is a small airport and suitable for the smaller sized aircraft, so no landing your A380 here anytime soon. Can we help sort out a room for you as well? We have over one hundred hotels to choose from when planning your next Ohrid trip. The Villa Kalle Hotel, sets the ball rolling with some very good rates and reviews.